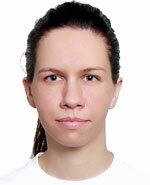 Maria Nawrocik comes from Poland, where she graduated from University with a major in linguistics. She studied Mandarin as a student and spent a year in China on a scholarship. After graduation, she got an opportunity to go Taiwan to enter a graduate school. She is now completing a two-year master's program in International Human Resource Development at National Taiwan Normal University. In spring 2009, Nawrocik started volunteering at Animals Taiwan and fell in love both with the organization and volunteering. Later on, as part of her research project, she decided to learn more about the experience of other foreign volunteers. She feels very fortunate to have been able to hear the inspirational stories the volunteers shared with her. Nawrocik is preparing to move back to Poland soon and hopes to contribute her volunteering experience to organizations at home.